This chilling quote, which I came across the other day, reportedly stems from the WWI battle of Verdun. As many subsequent battles with stupendous losses confirmed, sometimes artillery does not conquer but the infantry still attempts to occupy because that’s what the battle plan called for. Imagine … you are waiting in the trenches for the artillery to do its work, your world screams with explosion after explosion and then quiet takes over, only the whimper of faceless men dying or the clunk of falling debris can be heard. Your Lieutenant slips past, patting you and others on the back. “It’s time now, boys. Time to do our work.” The ladders go up, the whistle sounds and your mates charge forward. Noise erupts once again as the shouts of infantrymen and the zing of rifle shots fill the air. And your mates tumble back down the ladders, wounded, dead, dying because the artillery did not conquer and there was no way of knowing it. Check out The Long, Long Trail for further information in a section called The Battles of the Somme 1916. Tragedy upon tragedy. 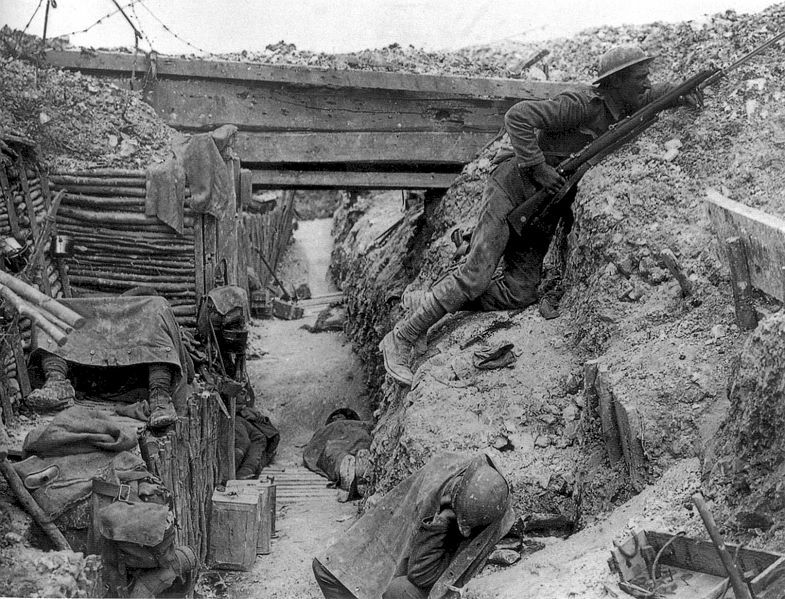 Hard to imagine what the frontline troops were thinking as they climbed out of the trenches to meet certain death.